Task Force X: Episode 4 : Suicide Squad Number 1... Finally! Episode 4 : Suicide Squad Number 1... Finally! This episode we do Character Profiles on Rick Flag and Amanda "The Wall" Waller! Rick Flag Jr. first appeared in The Brave and The Bold issue 25 (which we covered in our very first Headcast) and was created by Robert Kanigher and Ross Andru. 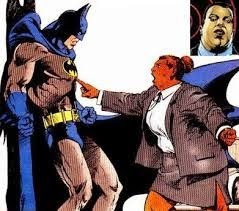 Amanda Waller aka The Wall first appeared in Legends number 1 (which we covered in our 2nd episode) and was created by John Ostrander, Len Wein, and John Bryne . For more on both of their backstories and origins, see Secret Origins #14 (from DC Comics) which we review this episode. This issue of Secret Origins, covers the never before told (retconned) origin of Task Force X and Rick Flag. We also learn all about Amanda Waller and where she comes from. A great read. And Suicide Squad #1 which was only 75 cents. President Marlo of Qurac demonstrates his new group of super powered villains known as the Jihad. The group attacks a mock airport and kills hundreds of people. After the demonstration, the Jihad prepares to attack an American airport. In Louisiana, Rick Flag briefs the Suicide Squad including new members Plastique and Mind Boggler. They plan to assault the Jihad's headquarters. As the team prepares to depart, Flag is reunited with Karin Grace who has been released from the psychiatric hospital and is now serving as the team medic. Also this month we have Listener Feedback! Make sure to let me know which format you prefer. The full story coverage (like in Secret Origin) or the synopsis version (as I did the Suicide Squad #1), so I know how to make this the greatest Task Force X podcast on the net. Writer extraordinaire, John Ostrander, had a triple bypass surgery and has pulled through fine and is recovering nicely. All of us at Task Force X are glad you pulled through and are recovering. Make sure to tell a friend and check back next month when we review Suicide Squad issues 2 and 3 and do Character Profiles on Captain Boomerang and Mindboggler.